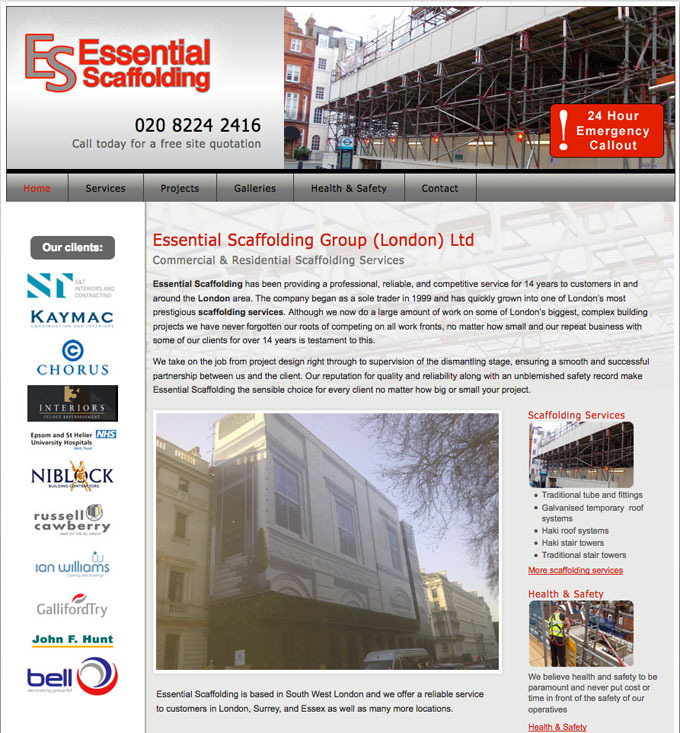 A London company offering a range of residential and commercial scaffolding service. This job was undertaken for an established and busy London based company in the South East who supply scaffolding services for commercial and residential customers. They supplied an outline of the layout and initial content and photos. We created a visual for the new site following discussions as to their requirements. They were keen to have a changing photo on the home page that showed the same building before and after the scaffolding was erected.